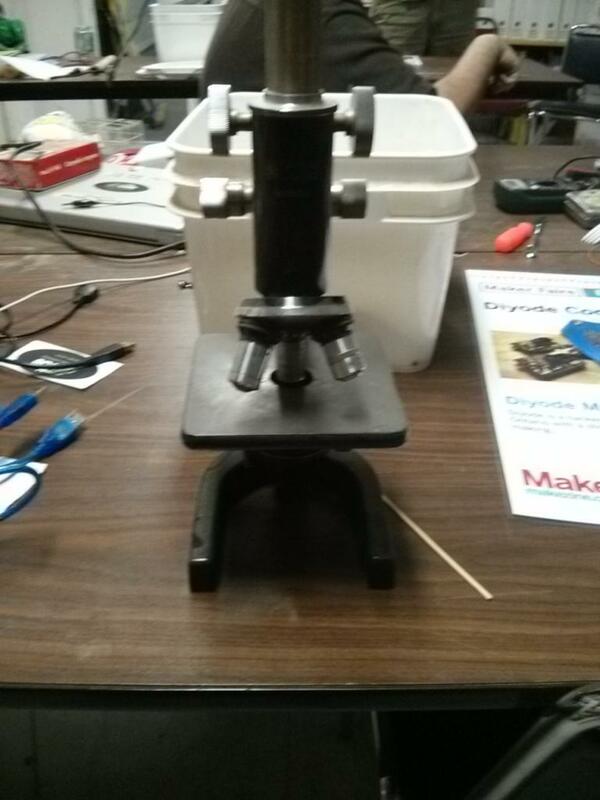 This is a lab quality microscope. Not sure if it has any practical uses in the workshop, since the magnification is so high. This item came Simon Clark at Digital Frog International. It now belongs to Diyode. Nice write up on this subject. I have been using a <a href="http://drillpressselect.com/">drill press</a> mounted Rosette cutter head with custom corrugated insert cutters for this operation, which gets really pricey. I will give this method a go next opportunity. Thanks.